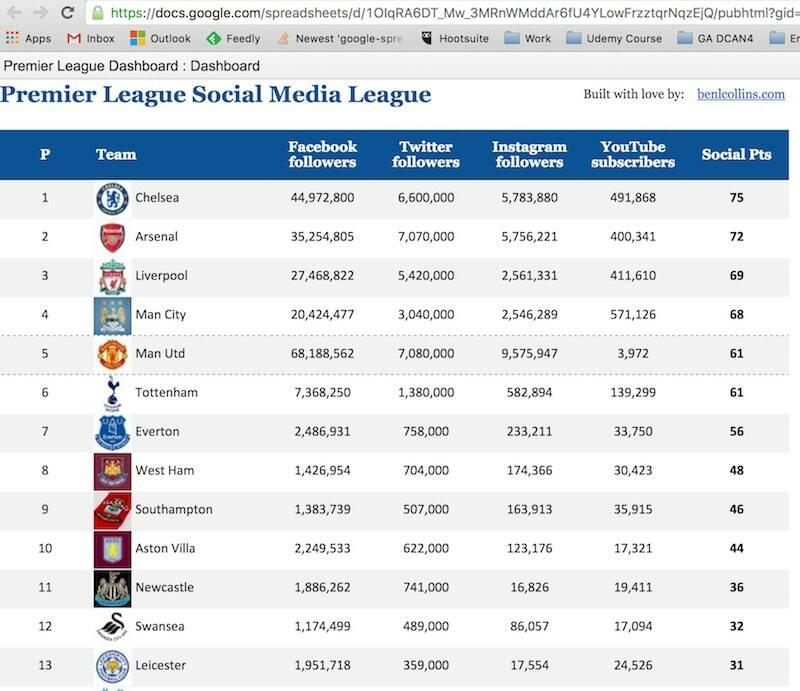 Built entirely in Google Sheets, this real-time dashboard extracts social media metrics data for each team, and then ranks each team based on number of followers for that channel. The overall position in the table is based on cumulative scores of rankings. See the live version on the web here. Note: I could not find an official YouTube channel for Manchester United, which harmed their position overall. They would likely be in 1st place overall if their YouTube subscriber rank was not dead last. The data is imported using Google Sheet’s IMPORTXML and IMPORTHTML functions. I’ve written in detail on how to use them to import social media data here. Interested in learning how this was put together?